IELTS Writing preparation posts are here. Have you found yourself in a situation when you had an idea in your head but you could not explain it? When you felt a choke in your neck, as if you want to say something but the word just doesn’t comes out and in that struggle you mumble different words which have no meaning all together. Well, this happens because you have a weak vocabulary or you don’t know how to use the words that you know. It might also be possible that you are not confident, but for now, we shall consider the previous two conditions i.e. either you have a weak vocabulary or you don’t know how and when to use those words. So, be calm and delve into the new venture of learning words and using them in an exciting way. In this first article, we will begin with something we all are part of and we all love, FAMILY. Now, every topic has its own vocabulary( words related to it). And family is no different. Check out the entire list of family vocabulary HERE. Now, let us start using them. So, let us begin. When asked about your family, there are few things you have to tell. 1. Who do you live with? Now, suppose you live with your parents and have a brother or a sister. You must write, I live with my mother, my father and a younger brother. What have you done, you have used the verb- live, wrote the names of the people you live with. And that is all required to begin with. Now, there has to be some place where you are currently staying. State the name of the place. You must write, I live in Dehradun( now this place can be anywhere in the world). 3. Now, you need to elaborate. Tell, more about your parents and your brother or sister. My mum’s name is Catherine. She is Indian and speaks Hindi and Kumaoni. She is a home maker. She is tall and a little plum, she’s got long brown hair, brown eyes. My dad’s name is Philip. He is an Indian as well. He is tall and a little fat. He has got black hair and brown eyes. He works in a Thermal Power Plant. He is an engineering student and loves to read engineering books. He is tall, and has got brown hair and eyes. She speak Hindi and Kumaoni. She speaks Hindi and Kumaoni. My mother is an indian. My father name is Philip. MY father’s name is Philip. She has got long hairs. He works in Thermal power plant. He work in thermal power plant. You can go and read those n number of sample answers, cross check them with yours and pick out some good words from there, fit it in yours and then move with it. But then how long is it going to help you, even more can it help you if you are a novice to English. What if the entire question boils down to this one fact that you don’t understand how to analyse a bar graph or a line graph. You don’t understand what the fuss about essays is and what the things you must consider while writing them are. Even more how can you write impressive letters? Well, we have a solution. 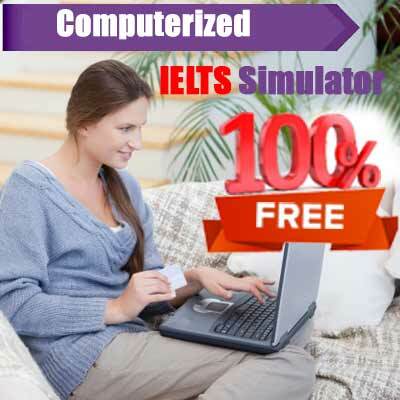 Right now, I am not talking to those who are pretty good in English, have studied all through their lives in English medium schools and listen to English songs and need just mere time to improve a bit and get the desired band in IELTS. I am referring to those who have dreams of going abroad, living life they have dreamt of, but somehow, may be because of circumstances or any other reasons, haven’t been able to give English the required time and this has led them to a rather weak spot. I hope you are going through the reading course and improving on your reading skills. But then IELTS is not just about reading, isn’t it? It is about speaking, listening and writing as well. And so, we are now beginning with a writing course. You shall not find sample answers or other tricks and traps you read everywhere. In this course, you shall be taught, how to frame sentences, how to join them and make a paragraph and then make a complete sense out of it. How to then link those paragraph and create what is called a master piece, a perfect example of write up. So, if you are someone who knowns vernacular language but has issues in expressing ideas in English, we bring to you the writing course. This course, like the reading course, will have three levels. Level 1 – You will learn how to express ideas in English. You will be learning the English words for your ideas. Level 2 – Here you will be taught how to frame sentences, how to make sense in English out of what you know. Level 3 – When you reach this level, you will learn how to frame paragraphs and then link them to create a fantastic right up. 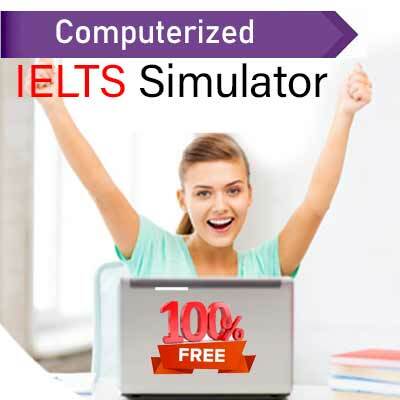 The writing task of IELTS general requires you to answer two tasks in 1 hour. Introduction- This part begins with a greeting and includes one sentence. Conclusion – this part concludes the letter and includes yours sincerely /faithfully/etc. Apart from these two a letter has a body. The idea of the letter is expressed in the body. The main function of the letter is to either complain or request information or seek assistance or either make arrangements. The second task is writing a essay. This task is for about 40 minutes and you are required to write at least 250 words. There must be at least 4 or more paragraphs. The first paragraph is the introduction and the conclusion can either be of 1 or 2 paragraphs. The main motive is to describe the topic and convince by either giving reasons or examples or comparing. You can either weigh up the advantage or the disadvantage. Remember, the word length for both the task must be taken seriously. If your answer is too short you may loose marks. 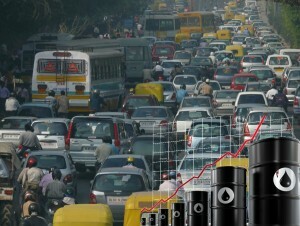 Increasing the price of petrol is the best to solve growing traffic and pollution problems. To what extent do you agree or disagree with this opinion? What other measures do you think might be effective? In today’s world the main problems which we face in our everyday lives are related to traffic congestion and high levels of pollution. Both these problems, which are inter-related, affect people to a great extent as everyone has to commute for personal and professional reasons. Increasing the price of petrol is not the best way to solve these problems but it can help to reduce them to quite an extent. These days, everyone uses private vehicles for commuting daily for personal and professional reasons as it is a more comfortable means of travel. This results in the increase of the level of pollution due to the toxic and poisonous fumes emitted by theses vehicles. A reduction in the price of petrol can dissuade a few people from using their vehicles as its usage would become costly. But in general, people who prefer the comfort of their own vehicles would continue to use them irrespective of the decrease in petrol costs. So it is only to an extent this would help curtail the traffic and pollution problems. There can be other measures which can be used to curb the growth of traffic and pollution. First and foremost, public transport should be made easily and cheaply available to the public so that it can become affordable for all people. Secondly, the routes for such transport should also be increased and expanded, especially to those areas where commutation is difficult. Lastly, a tax can be levied on all vehicles which are used by people for personal and professional use. In conclusion, it can be said that the decrease in the price of petrol would not be a very effective way of curbing traffic and pollution related problems and other measures should be devised to keep these in check.